The space venture of Amazon CEO Jeff Bezos is getting close to flying its first astronauts and the billionaire founder is feeling the significance of the company’s ambition. Blue Origin successfully completed its 10th flight on Wednesday. 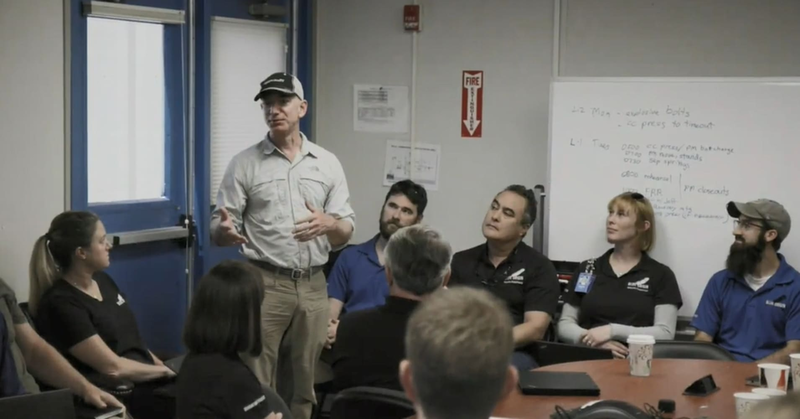 The company’s livestream showed a video of Bezos speaking during the “Flight Readiness Review” of Blue Origin’s ninth mission in July. After the successful launch, the video shows Bezos cracking open the door of New Shepard’s capsule. “That never gets old,” Bezos can be heard saying as the door opens.